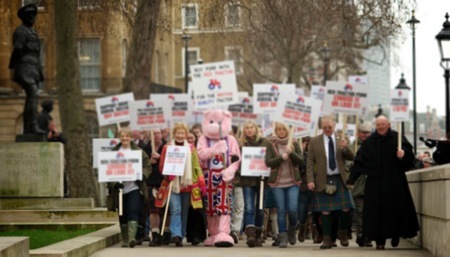 Hundreds of pig farmers from around the country descended on Downing Street on 3 March to campaign for a fair deal from supermarkets and processors. 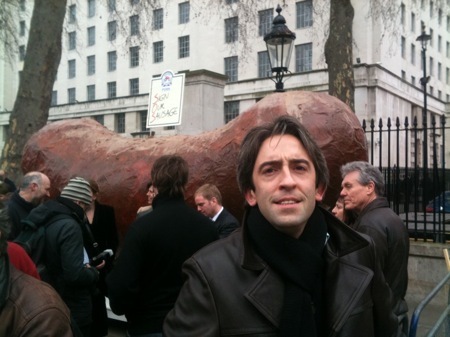 Farmers handed in a petition to No.10 and asked MPs and peers to sign a giant 16-foot sausage model to show their support. 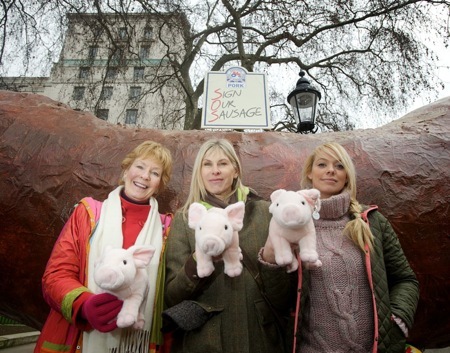 Celebrity supporters at the rally included Christine Hamilton, Liz McClarnon and Sharron Davies, all of whom have previously taken part in campaigns to promote Red Tractor pork. Over the past few weeks pig farmers have been running a home-grown advertising campaign to encourage consumers to buy Red Tractor pork. More than 500 banners have been erected in farmers’ fields next to busy roads and railways lines.